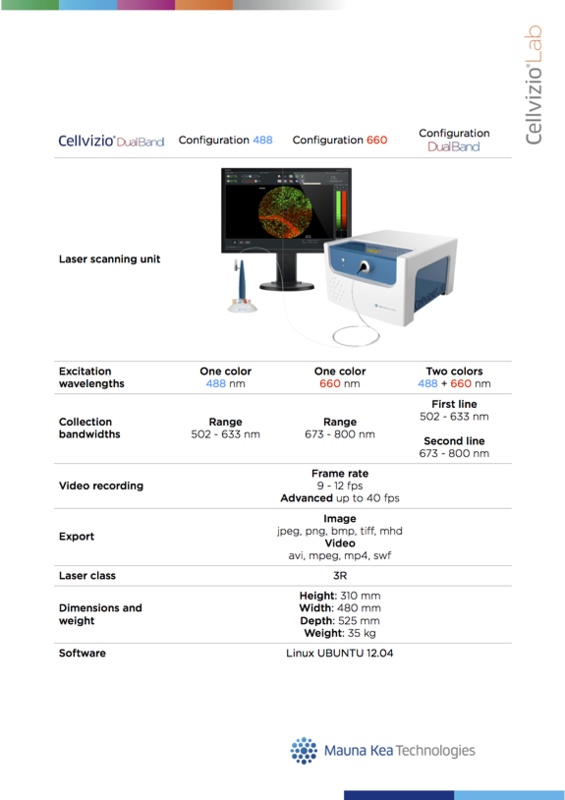 Cellvizio offers in vivo preclinical imaging at the cellular level. Download this document to find out the technical specifications. © 2019 Mauna Kea Technologies, S.A.